LAEDC’s address is 444 S. Flower Street, 37th floor, Los Angeles 90071. Security check-in is in the lobby and they will direct you to the elevators. Underground Parking: Flower Street is one-way south, and you must approach from 3rd or 4th street. After you cross 4th street, look for the small silver parking entrance called FourFortyFour on the left side of the street. There is Metro construction and our entrance is in between the construction barriers. Before your visit, please check with the meeting organizer about whether parking will be validated. From the 110 Freeway Southbound: Exit at 3rd, make a left and proceed south to 4th street. At 4th, go slow and make a soft left where it says “to Flower Street” and travel east two blocks. At Flower, make a right, which is one-way south. Immediately go to the left side of the street and look for the small silver entrance called CitiGroup Center on the left side of the street. From the 110 Freeway Northbound: Stay right for Downtown Exits. Take the last exit on the right for 3rd Street / Flower Street. Follow the ramp and proceed east to Flower and make a right on Flower. 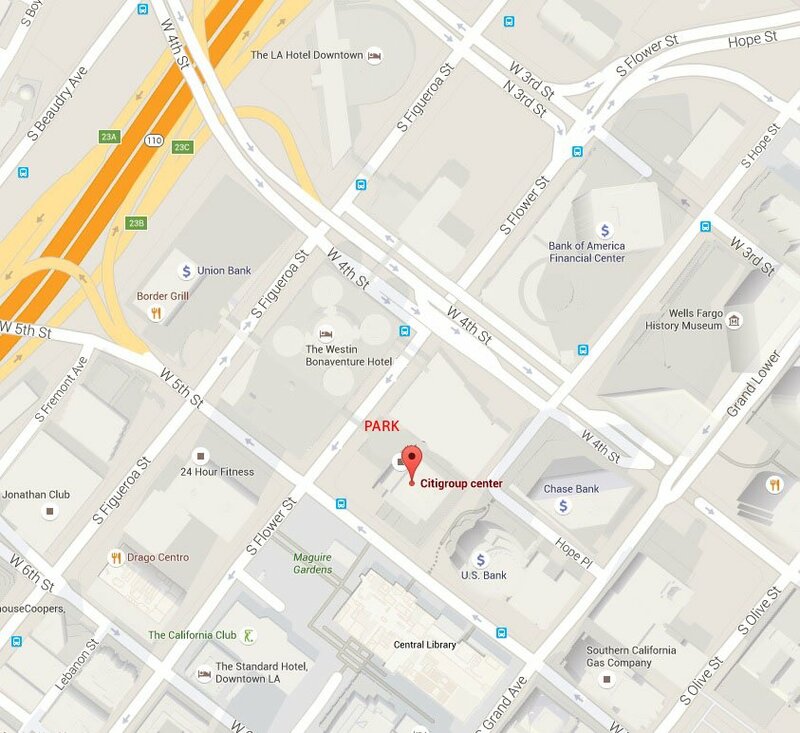 After you pass 4th street, go to the left side of the street and look for the small silver entrance called CitiGroup Center on the left side of the street.